The MUMC Parish Nurse Ministry promotes wellness, healing and wholeness of body, mind and spirit within our church family through health assessment, counseling and education. Parish Nursing Ministry is defined as a unique, specialized practice of professional nursing that focuses on the promotion of holistic health within the faith community. The purpose of this ministry is to touch the entire congregation with information, knowledge and skills that will raise awareness of the relationship between health and spiritual well being and to encourage each person toward an understanding that health is a gift and that each person is responsible for being a good steward of that gift. 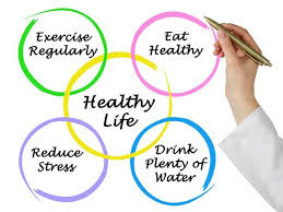 This ministry provides health education, programs and support that can assist to make healthy lifestyle choices in all areas of each person's life. Parish Nurses work along side the Pastor to empower others to maintain their physical, mental and spiritual health. Look for monthly health focused articles in the Spire newsletter. Parish Nurses DO NOT provide “hands-on” patient care such as that offered by home health nurses, but instead direct people to the most appropriate health care providers. Parish Nurses DO NOT replace the Pastor’s healing mission, but support and enhance his reach and effectiveness. 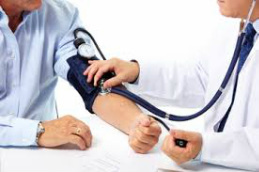 Blood Pressure Screenings will be offered after Worship Services.